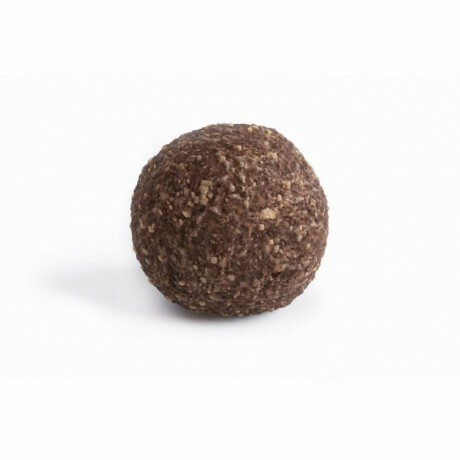 Luxuriously rich and chewy chocolate balls with a delicious nutty taste and texture. These all natural vegan treats are made using just a handful of ingredients without any added sugar alternatives or sweeteners (such as agave, coconut sugar or maple syrup). Instead they simply contain fruits like apricots and dates for a gorgeous subtle sweet flavour. nouri are the perfect midday pick me up or evening treat. Crafted from nourishing wholefoods that are truly good for our bodies, with no compromise on taste. Dates, hazelnuts, cocoa, cocoa butter, almonds, vanilla. Per 100g: Energy 452 Kcal, Fat 24g, of which saturates 8.2g, Carbohydrates 47g, of which sugars 32g, Protein 9.3g. This product is dispatched by Nouri healthy balls. Please note: this item has special delivery requirements so £3.95 is added to the delivery charges indicated below.